You’ve probably seen it all over postcards or in your guidebook, but nothing beats seeing Broadway in real life. 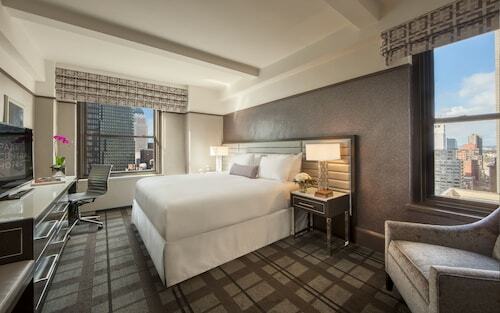 You will find it in New York, a well-loved city that beckons travelers from all around the world. 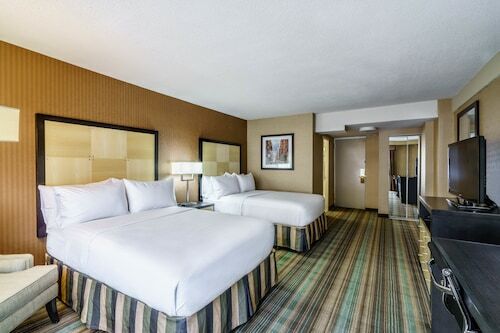 Every traveler wants to stop in at Broadway while they're here, so it's no surprise that there is a range accommodations within walking distance. With as many as 170 candidates within 0.6 miles (1.0 kilometer), you won't have any issues finding the right place. 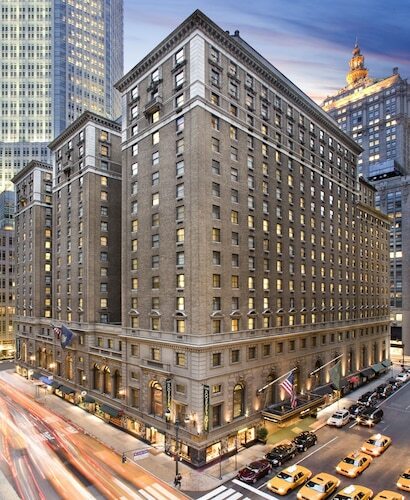 The Langham, New York, Fifth Avenue, WestHouse New York and The Chatwal, a Luxury Collection Hotel, New York City offer a wide selection. If you wish to save some pennies for a rainy day, you might want to consider some of the moderately priced hotels that are available here. 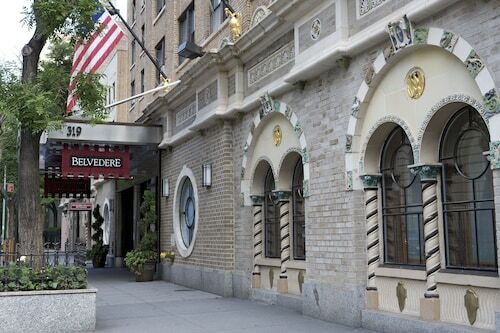 Why not give the Chelsea Savoy Hotel a shot? It's only 1 mile (2 kilometers) away. 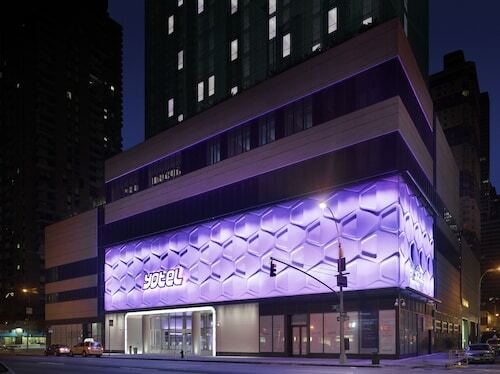 A second option is the Comfort Inn Times Square West, 0.3 miles (0.5 kilometers) away. If you're the sort of traveler that has to have some time out from a full schedule, having a siesta at one of the several premier establishments in the area will revitalize your waning spirits. 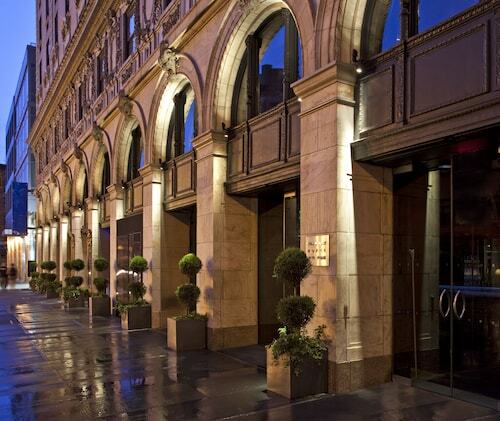 A couple of selections are the St. Regis New York, 0.6 miles (1.0 kilometer) away, and the Mandarin Oriental, New York, 0.8 miles (1.3 kilometers) away. With all of the excitement of traveling to new places, we can sometimes forget to eat. Just a short hop away, Val Cafe is the perfect spot to top up your energy levels. Or, perhaps you can book a table near the window at Buca di Beppo Italian Restaurant. It's close by and well-known for keeping patrons satisfied with tasty meals. Why don't you end the day by toasting your traveling companions? Make your way to Crossroads American Kitchen & Bar, also a quick walk away, and call for a round. Take a look at some brochures from Official NYC Information Center and get some more information about this area. Be entertained by the talented actors who give it their all at Marquis Theatre and admire the effort which goes into the productions. 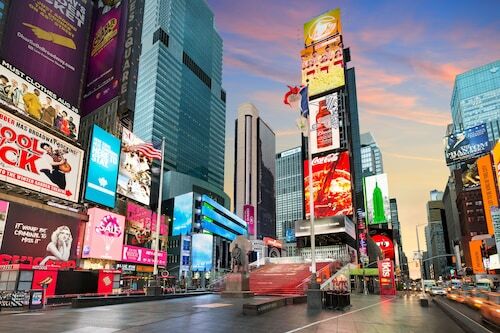 Add a taste of the arts to your vacation by securing tickets to a play at Minskoff Theater. If you're a theater fan, you'll love the entertainment waiting for you at Lyceum Theatre. Inject some culture into your getaway by attending a play or two at Midtown Theater. 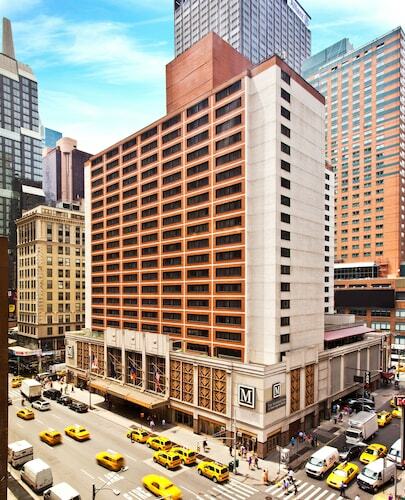 After a busy day, jump on the train at Grand Central Terminal, 0.6 miles (1.0 kilometer) away from Broadway. 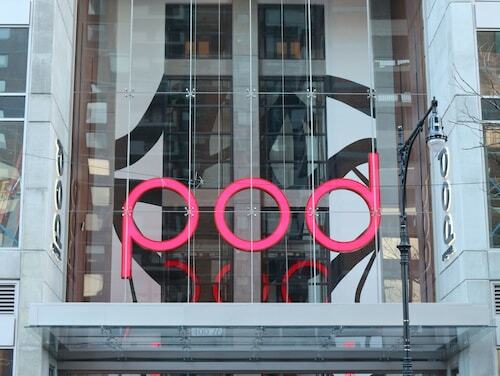 How Much is a Hotel Room in Broadway? 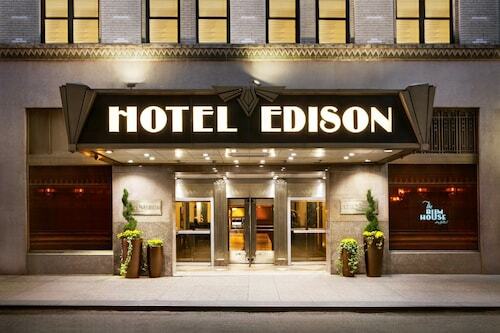 Hotels in Broadway start at $85 per night. Prices and availability subject to change. Additional terms may apply.